HPU B.Ed. 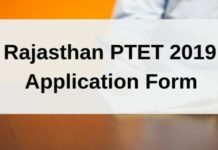 Result & Merit List 2018 – The result of all the candidates who will appear in the HPU B.Ed. Entrance Test 2018 will be declared and are available on the University website at www.hpuniv.nic.in. Selection of candidates will be done on the basis of marks scored by the candidates in the entrance examination. No detail marks card will be sent to the candidates. The candidates may see their HPU B.Ed. Result & Merit List 2018 in the University website. There will be no re-checking/re-evaluation of answer-sheet. Latest: Merit list of HPU B.Ed Entrance Exam has been released. Scroll down to check. HPU B.Ed result will be published after the entrance test. Candidates can check their result from the link given below. In order to check the result Candidates have to enter their Roll No. and Name and submit it. Click here to check Merit List of Domicile Candidates of J& K State of all streams categories wise of B.Ed. Entrance Test 2018. Click here to check Merit List of Single Girl Child of all streams categories wise of B.Ed. Entrance Test 2018. Click here to check Merit of all Categories (General & Reserved), B.Ed. (Arts & Commerce) Entrance Test 2018. Click here to check Merit of all Categories (General & Reserved), B.Ed. (Medical) Entrance Test 2018. Click here to check Merit of all Categories (General & Reserved), B.Ed. (Non-Medical) Entrance Test 2018. Click here to check the result gazette notification of B.Ed. Entrance Test-2018. Candidates have to follow following steps to check their result for the HPU B.Ed Entrance Exam. Click on the link which says “HPU B.Ed 2018 Result”. At the result page, enter the asked details. If two or more candidates obtain equal aggregate marks in the B.Ed. entrance test, then their inter-se merit for admission to the course shall be determined on the basis of marks obtained by the candidates in order of Section-wise performance of the entrance test i.e. General Awareness, Language & Comprehension, Logical Reasoning, Knowledge of National Commission/Committees on Education and Teaching Aptitude and Attitude. Even if, the tie still persist after exhausting the above procedure, then the candidate older in age shall be given preference. The combined and category-wise merit list based on performance of the Entrance Test of all qualified candidates will be prepared and notified by the Controller of the Examinations and the same will be uploaded on the University Website www.hpuniv.nic.in. Merely assigning the rank in this merit list will not confer any right for admission. However, the admission will be made subject to fulfillment the prescribed eligibility criteria on verification of the original certificates/documents and availability of seat(s) in the concerned college(s) at the time of counseling/admission. 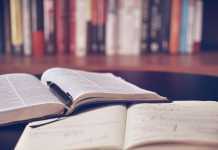 The copy of complete merit list will be sent to the Chairperson, Department of Education, Himachal Pradesh University, Shimla-5 for completing admission/counseling process as per schedule which will be notified separately by the Department of Education, Himachal Pradesh University, Shimla-5. The qualified candidates are advised to attend the counseling as per schedule after ascertaining the rank/score in the merit list which will be made available on the University websites www.hpuniv.nic.in No Separate intimation will be given to the candidates in this regard. 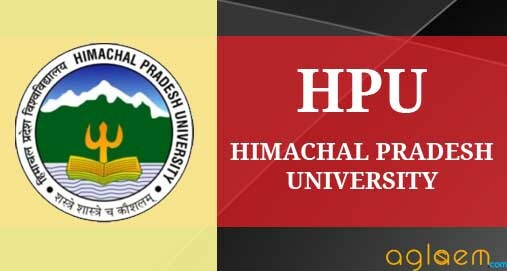 Notwithstanding anything contained in this Prospectus, the students will have to abide by the provisions of Himachal Pradesh University Act, Statutes, Ordinances, Rules and Regulations as may be framed and amended from time to time. If the candidate does not fulfill the prescribed eligibility conditions, his/her candidature shall not be considered for admission to B.Ed. course.